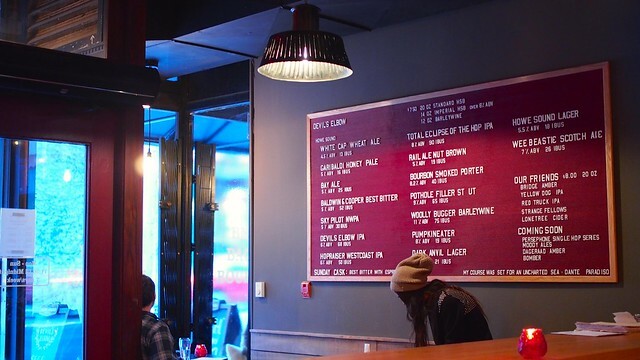 Beerfest at Devil's Elbow Ale & Smoke House on Beatty Street in Crosstown on February 11, 2015. 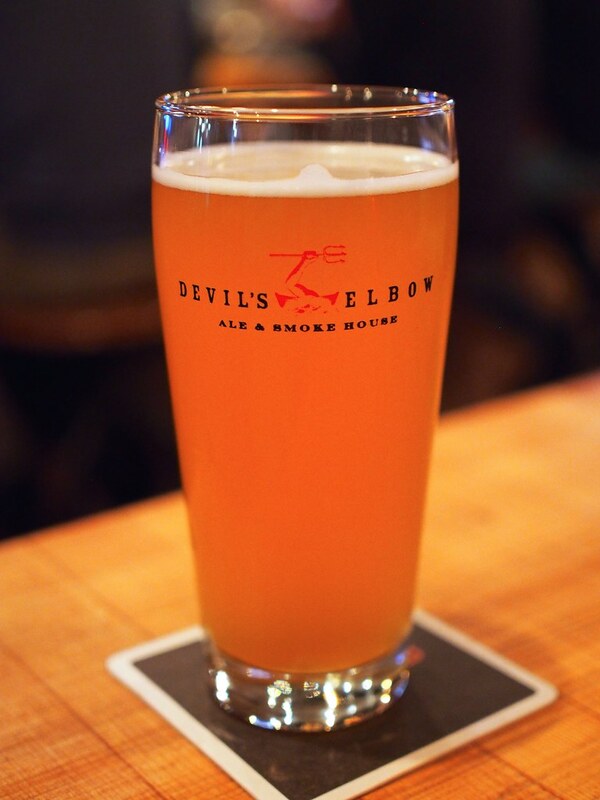 From Howe Sound Brewing in Squamish, Devil's Elbow is their "tied house", off-site brew pub. 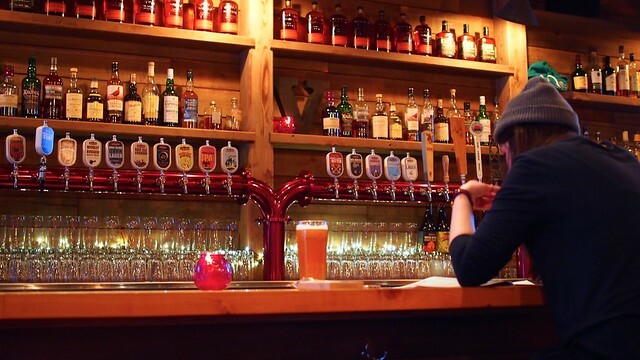 As a seemingly modern gastropub tied to primarily serving a particular brewery's beer, Devil's Elbow mixes Howe Sound's reliably solid craft beer lineup with the usual pub fare. 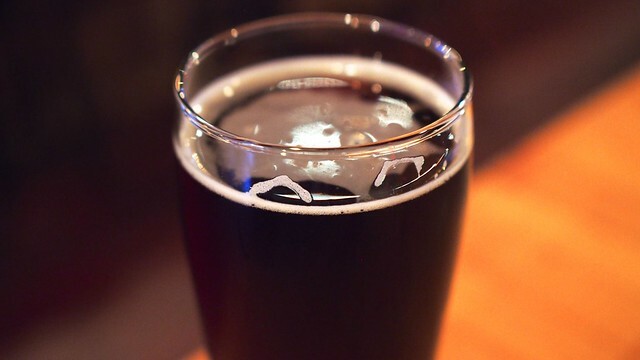 HSB makes some good, diverse beers and Devil's Elbow was a pleasant experience, but with the advent of local brewery tasting rooms, it just felt like it was missing something. As for the beer, I very much liked the Whitecap Wheat Ale with its easy drinking nature, fresh taste and aroma. 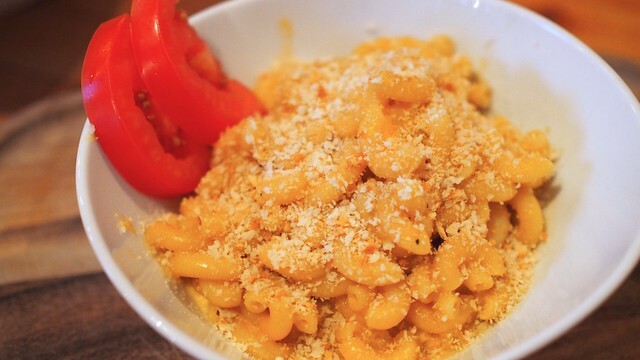 I was disappointed by the IPA mac 'n cheese with its satisfactory but unremarkable taste and texture. It needed more creaminess and possibly IPA flavour. The Rail Ale Nut Brown Ale was a little standard but nicely full-bodied with a good bite to it. 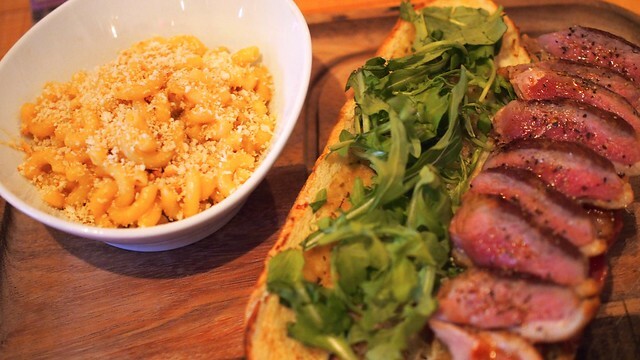 As for the smoked duck BLT (with orange glaze, smoked bacon, rosemary jam, and sans tomato), it was quite tasty. 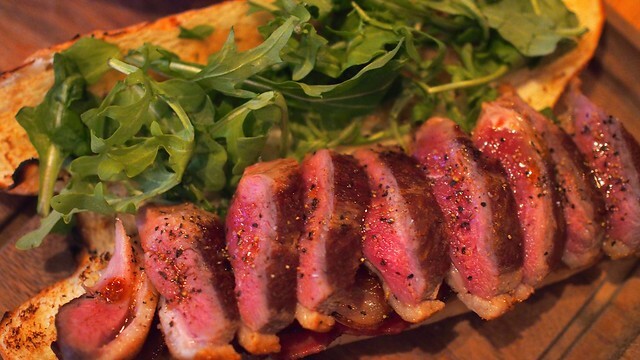 Served on a long bun, it was tricky to eat with the thick cut pieces of duck, but still quite enjoyable. This is a good sandwich. For a downtown bar close to the stadium district, you can't go wrong with the quaint, appealing bar. 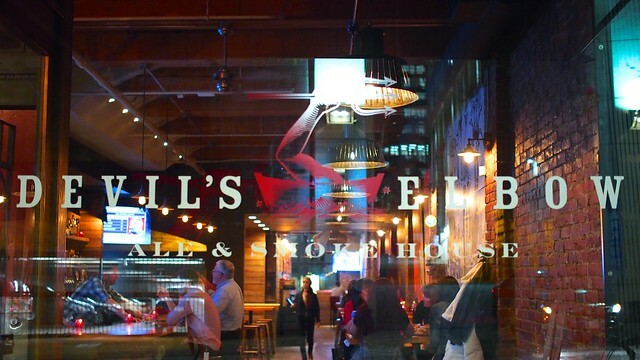 In between Crosstown and Gastown, it's wedged in a fancier district near the stadiums and makes for an appealing watering hole.